Over the past few years, director Michael Bay has had a tendency to make smaller, more personal films in between installments of his monstrous Transformers franchise. In 2013, he brought the incredible true story of Pain & Gain to theaters, before setting the box office on fire once again with Transformers: Age of Extinction. This year, the filmmaker brought us the harrowing true story of the soldiers who fought against terrorists in the Benghazi raid in 13 Hours. This action-thriller debuts on Digital HD today, ahead of its Blu-ray and DVD release on June 7, and we have an exclusive preview that offers a behind-the-scenes glimpse at the production. This two-minute preview offers plenty of insight regarding the different types of cameras that were used on 13 Hours, from Oscar-winning cinematographer Dion Beebe (Memoirs of a Geisha, Edge of Tomorrow. The cinematographer reveals that they used the Sony A7S cameras to "simulate night vision," while they also used a GoPro array, which features 40 GoPro cameras that are all in sync with one another to create an incredibly fluid shot. The DP also spoke about how they used drones in the film, both to shoot scenes and as part of the story itself. 13 Hours: The Secret Soldiers of Benghazi tells the incredible true story of six elite ex-military operators who fought to protect the CIA against overwhelming odds when terrorists attacked a U.S. diplomatic compound on September 11, 2012. The film stars John Krasinski (TV's The Office), James Badge Dale (World War Z) and Pablo Schreiber (TV's Orange is the New Black), and is based on the nonfiction novel 13 Hours: The Inside Account of What Really Happened in Benghazi by New York Times best-selling author Mitchell Zuckoff with the members of the Annex Security Team. The 13 Hours: The Secret Soldiers of Benghazi three-disc Blu-ray Combo Pack with Digital HD includes an hour of bonus content featuring behind-the-scenes footage and interviews with the six ex-military operators recounting the extraordinary detail involved in recreating the events from the attack. Plus, join the cast and crew as they highlight the filmmaking process and how director Michael Bay brought the film to life. The Blu-ray containing the feature film from Paramount is encoded in Dolby TrueHD and features a Dolby Atmos soundtrack* remixed specifically for the home theater environment. Dolby Atmos delivers captivating sound that places and moves audio anywhere in the room, including overhead, to bring entertainment alive all around the audience. 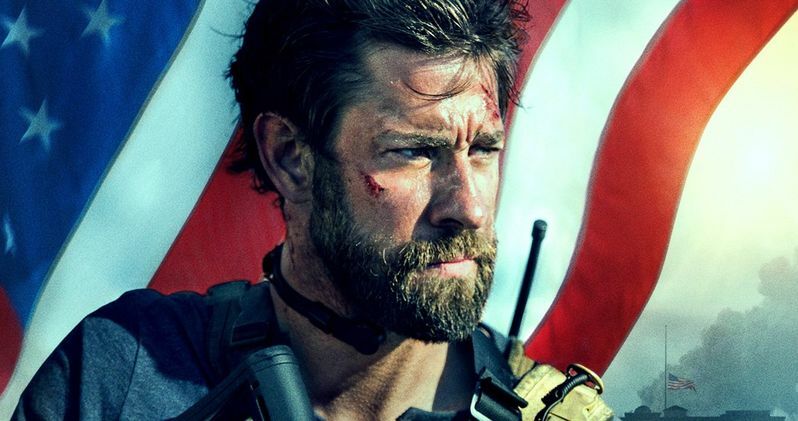 Michael Bay directed 13 Hours: The Secret Soldiers of Benghazi from an adapted script by Chuck Hogan (The Town), with a supporting cast that includes David Denman, Dominic Fumusa, Max Martini, David Costabile, Toby Stephens, Demetrious Grosse and David Giuntoli. 13 Hours earned $52.8 million domestically and $69.4 million worldwide, from a $50 million budget when it opened in theaters this past January. Take a look at our exclusive preview below to learn more about the cameras director Michael Bay and his crew used to bring this gripping true story to life.